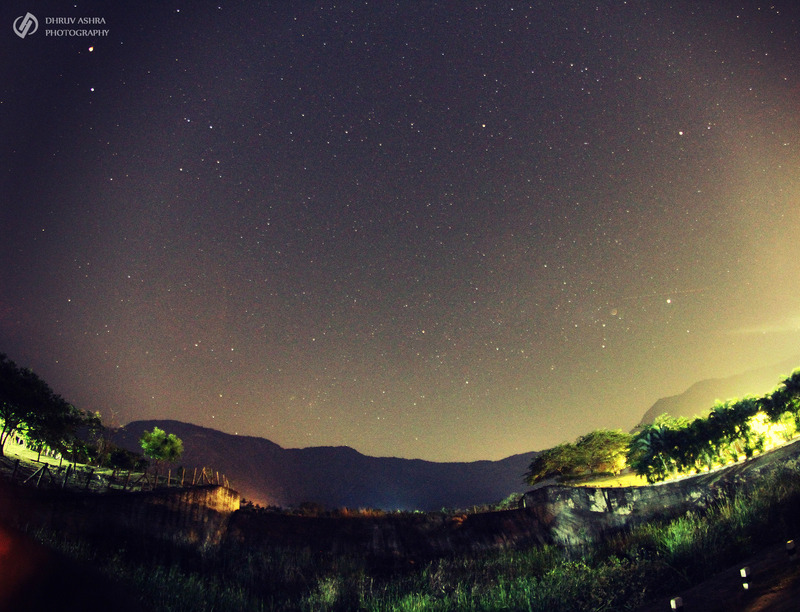 Taken using Canon 7D + 8mm Fish Eye lens..
Beautiful night sky. I really like the composition too, with the vurved horizon from the fisheye lens. I didn’t realise that you would see so many stars with such a wide angle lens…Excellent photograph.. I cannot imagine what it must be like to be able to take a photo of the night sky and see so many stars … but I suspect it’s not something that just any photog. can do, Dhruv – even if there is sufficient lack of city light !